Even as the Minnesota Twins continued to succumb to their weird allergy here at Yankee Stadium (they’ve now lost 31 of their last 37 here, counting playoffs), Derek Jeter went 0-for-4 and the creepiest stat of all time just got a little worse. I thought the world of Mr. Sheppard, who extended kindness and support to me from the day I finally screwed up the courage to introduce myself to him. He did not undervalue his place in sports, but he had fun with it. When in 2004 I was researching the then-unknown identity of his predecessor (it was Yankees’ public relations director Arthur “Red” Patterson) I asked him if he had any earthy clue who it might have been, he said without batting an eyelash, “Methuselah!” Merely because I asked him, Bob spent fifteen minutes before the first game of the 1998 World Series with Tony Gwynn. Tony had said that one of the highlights of being in the Series again was the chance to hear Bob introduce him. I got Bob to record that introduction on a disk for me to present to Tony as a gift. Nobody who asked Bob for a favor – or the inevitable voicemail/answering machine message – was denied. I know one of Bob’s sons and have found him to be just as much a gentleman as his father, and I was privileged to get frequent updates on Bob’s health from Chris. I hosted the 2000 Subway World Series on Fox, and the thing became real to me when I wrapped up the pre-game show that it was my greatest honor to introduce him on the PA. When I would get to work the PA at Old Timers’ Day each July I was fully aware at every moment that I was on Bob’s PA. I get it. I revered Bob Sheppard and I revere his memory daily. But the post-mortem introductions of Jeter have, I think, become disturbing. And now there’s this to consider: Since Bob Sheppard died last July 11 and the tribute to the absent and beloved Public Address Voice of Yankee Stadium became instead a memorial, Derek Jeter is hitting just .263 here with one homer, 10 RBI, a .338 On Base Percentage and a .349 Slugging Percentage in 43 games. There are various dates and causes to assign to Jeter’s midseason eclipse last year but Mr. Sheppard’s passing is not exactly a random one – which makes the stat all the creepier. As of that sad day, Jeter had had 161 home at bats. 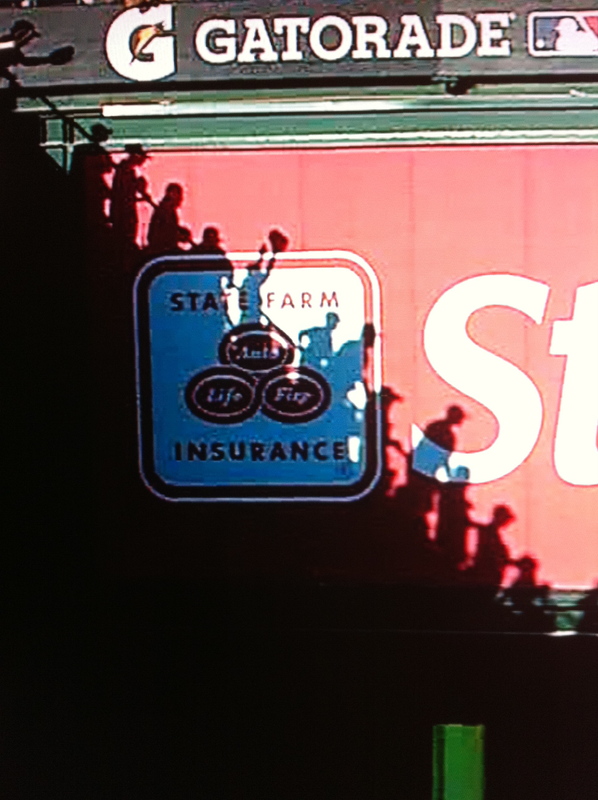 Thereafter he had…exactly the same number: 161 home at bats. But in the first half of his home 2010 season Jeter was batting .316, with six homers, an On Base of .380 and a Slugging of .472. Would it all turn around if Jeter had Sheppard’s successor Paul Olden announce his name, too? No, of course not. It would just be a little less…creepy. Bob Sheppard, whose voice was so synonymous with Yankee Stadium that many of us who had heard him since our youths still hear him in the background of our dreams, has died at the age of 99. Mr. Sheppard had suffered through severe congestion for most of the last season in the old park in 2008, and though he held hopes of opening the new stadium last year, he never made it back. His family had reported as late as the end of the Yankee homestand last Sunday, that he was happy, alert, and feeling well – not strong enough to get far from his home, but well enough to have enjoyed a cocktail. Yankee Stadium videographers were in the process of compiling a second tape of greetings and well wishes from those of us at the Stadium who knew him and missed not merely the quality of the work but more importantly the quality of the man. His sense of humor was nearly as legendary as his enunciation and the meticulousness of his preparation. He had joined the Yankees so long ago – 1951 – that it was a point of perverse pride that the team had no record of who preceded him, and said so in its media guide. When I picked up the gauntlet of research I went first to Mr. Sheppard himself and asked him if, by chance, he knew but just hadn’t been asked. “Yes,” he intoned, pausing just as he did while behind the microphone. “Methusaleh,” he said with a laugh, referencing a biblical figure who lasted into quadruple figures. It turned out Bob had actually been hired by Red Patterson, the Yankees’ public relations director of the time. In the ’40s and ’50s, public address announcing at Yankee Stadium – and elsewhere – was an afterthought. Patterson did it in between bon mots with the writers. He and other Yankee officials attended a football game played by the old Yankees of the All American Football Conference and were struck by the professionalism and thoroughness of the PA announcer there. They approached him as early as 1948 about doing baseball, but Sheppard could not fit the team’s weekday schedule into his full-time life as a speech professor at St. John’s University. Bob was more of a football guy anyway – he had quarterbacked St. John’s in the ’30s – and once confessed to me with a laugh that he had never attended a baseball game at Yankee Stadium until the team hired him during what would be Mickey Mantle’s first year (and Joe DiMaggio’s last). Mantle,” was Sheppard’s. It truly changed not just the fans’ experience at the game, but the game itself. 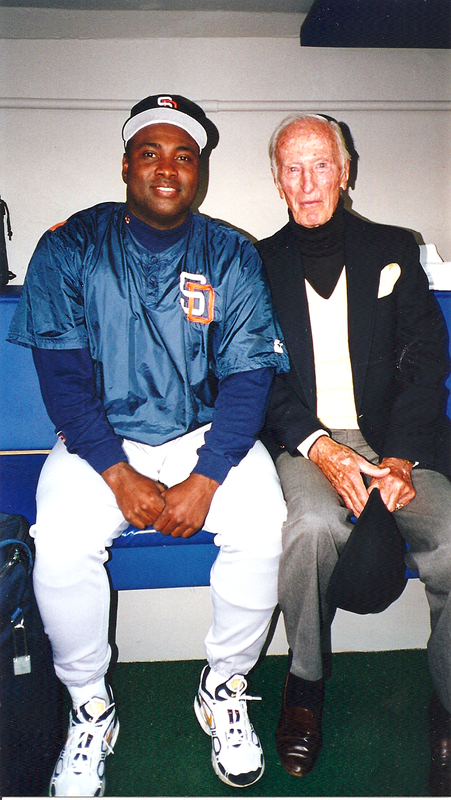 I will add more reminiscences of Bob Sheppard throughout the day here – including the story of the above photograph with Tony Gwynn – as opportunities present themselves.